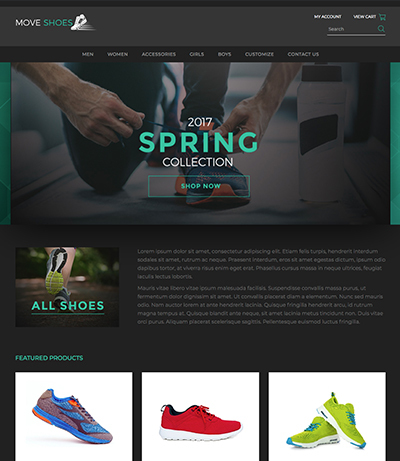 Brock is a 3dcart theme that makes navigation easier than ever, helping shorten the distance the customer needs to browse to make a purchase. 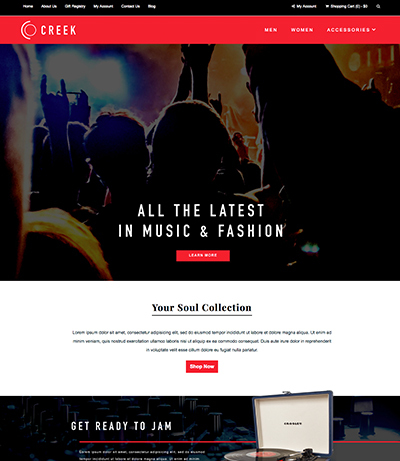 The home page carousel banner is perfect for catching customer interest instantly with your promotions, featured collections, and more. 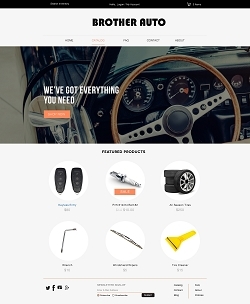 Showcase categories right on the home page with an attractive banner layout, followed by featured products below. 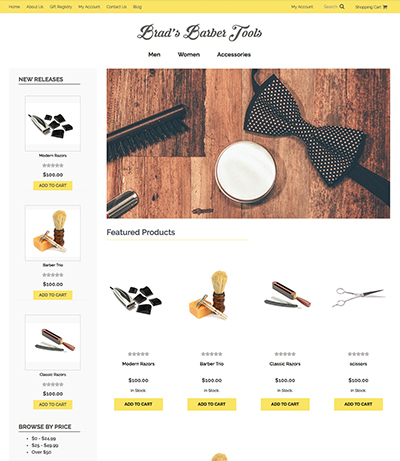 Navigation and new releases are found in a left sidebar, with menu items opening up to reveal subcategories in a hybrid of sidebar and dropdown menu. 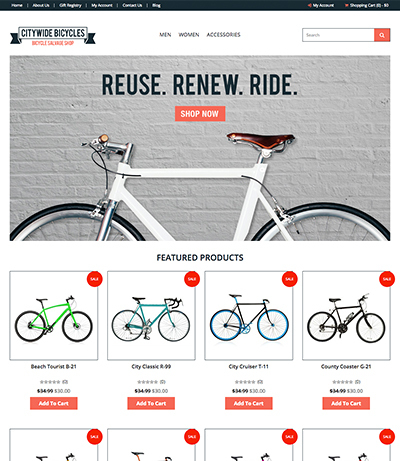 Customers can also choose to browse by price right on your front page. 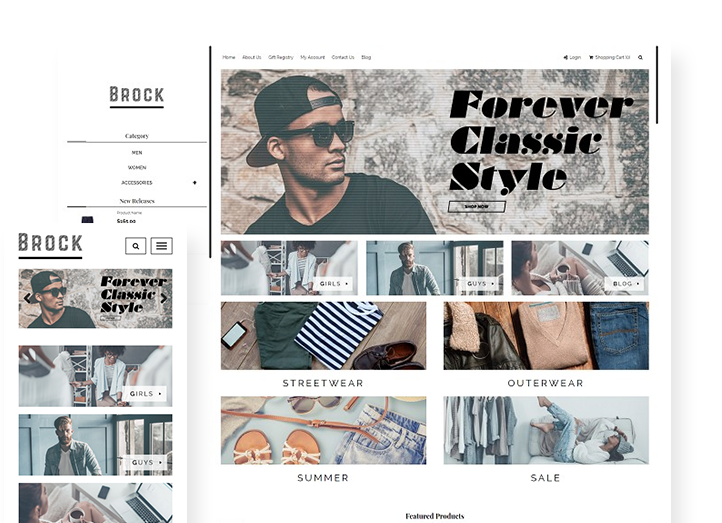 Brock offers fantastic navigation that the busiest online stores will find perfect for their needs! 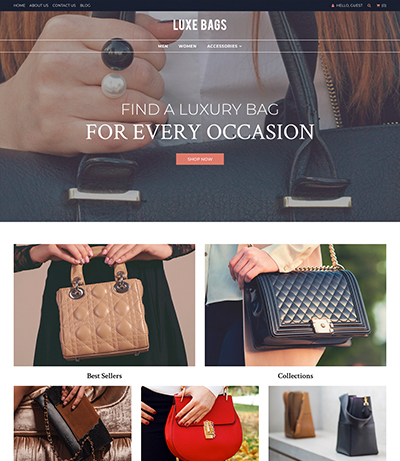 Want to add some deep customizations to tailor your online store perfectly to your brand? Feel free to contact us and learn more about how we can help.